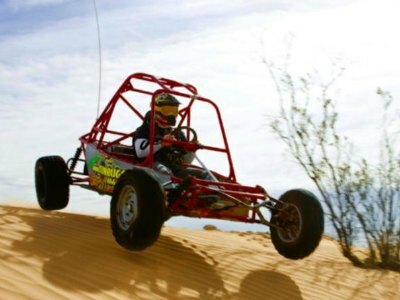 Riding a Las Vegas dune buggy is among the coolest, adrenaline-filled activities, perfect if you are looking for something different to do in the Sin City! 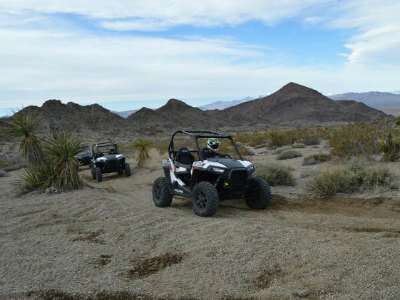 Ride in a 2-passenger buggy or rent your own and chase each other in Nellis Dunes or in Valley of Fire! 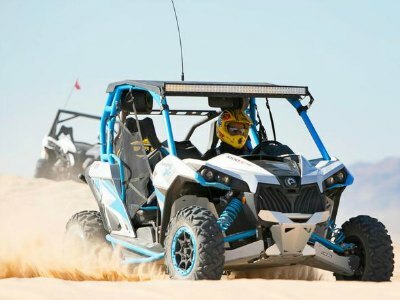 The Nellis Dunes are the perfect location to bring your adrenaline to full speed while you cruise over the mighty sand dunes or a special track in your own Las Vegas dune buggy. Your tour includes hotel pick up and drop off and you will be taken to the offices in the Nellis Dunes where you will receive your safety equipment and a brief seminar on safety and the dune buggy you will be driving. From here you will travel on a 30-minute excursion to Rattle Snake Cliffs and Look Out Dune that will test your skills, before returning to our offices. All dune buggies meet or exceed all safety regulations. You must be 18 years of age with a valid driver’s license. Participants 16 or 17 years of age are welcome to drive if they possess a valid driver’s license and are accompanied by an adult of 18 years old. 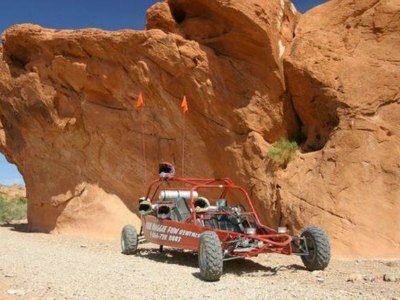 Take a thrilling ride of a lifetime on this Las Vegas dune buggy tour through the wonders of Valley of Fire State Park and experience the beauty of the natural surroundings. The Valley of Fire area has been recognized as one of the best off-road driving environments in the world. Your 3.5-4 hour guided tour will include stops for Bighorn sheep viewing as well as plenty of opportunities for you to shoot some very special photographs of the unique red rock formations, cliffs and sand dunes. Your heart will race with the wind as you maneuver through this picturesque landscape. The dune buggies are all built to meet or exceed all safety regulations and your tour includes safety training as well as all safety equipment. This tour does not offer single seat buggies and the rate is based on each participant. All drivers must possess a valid driver’s license and be at least 18-years of age. 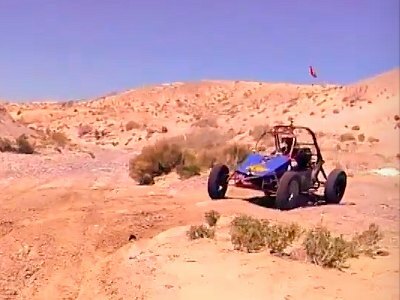 This Las Vegas dune buggy tour has been described as a “near death experience” as you drive your vehicle through some of the most challenging landscape that the Mojave Desert has to offer. Complete with hotel pick up and drop off you will first listen to a short safety training program and then be outfitted with safety equipment. From here you will enjoy an exhilarating 30-minute driving experience in a custom built dune buggy through the surrounding desert. After traveling 10 to 15 miles you will have lasting memories of your unique excursion that allowed you to drive some of the world’s best off-road terrain. All drivers must possess a valid driver’s license and be 18 years of age. You are encouraged to wear boots or closed toe shoes. This is one of most Vegas adrenaline filled adventures and off the beaten path. Drive your RZR off-road vehicle through the most challenging off-road terrain! Start with free hotel pick-up and after you are fitted with all the necessary equipment and view a safety session, you will be maneuvering your Polaris RZR through Hidden Valley Monument. You will follow a superb dual track trail that will leave lasting memories in your mind before stopping for a quick break at Buffalo Bill’s Hotel and Casino. 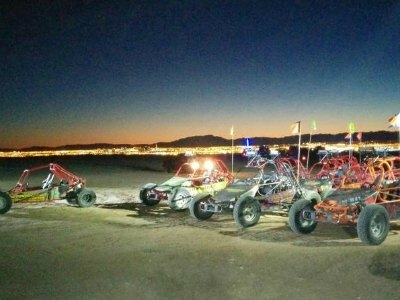 Your four hour Las Vegas dune buggy tour will include 20 to 50 miles of thrilling off-road fun before you are taken to your hotel of choice. There is an additional $10 fuel surcharge. Drivers must be 16 years old with valid photo ID. Children 12 to 15 must be accompanied by a parent or guardian and every participant under the age of 18 years old must have a signed waiver. 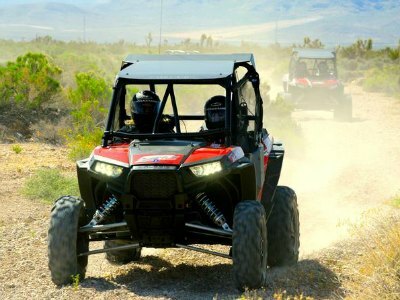 Experience Las Vegas from a totally different perspective when you get dirty and dusty on a super fun Las Vegas Dune Buggy tour. 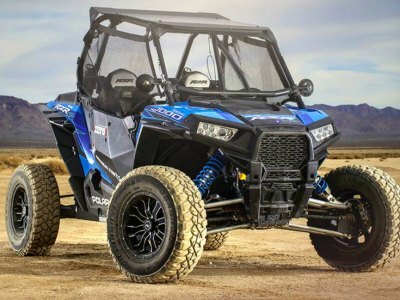 Discover the allure of the Mojave Desert in a 2015 Polaris RZR XP1000. There are four different off-roading excursions to choose from ranging from 90 minutes to a heart-stopping 330 minutes. Your guide will collect you and drop you to the Base Camp. Meet like-minded adventure seekers and take part in a short training session that will give you the skills to drive and control the Buggy. In a short time you would have progressed from beginner to expert! Then follow your guide into the desert to see the amazing sights. Drive along the rugged trails, manoeuvre along the sandy-washes and bounce across the uncharted landscapes! You will be given all the gear you need including a cutting-edge helmet that has a built-in PCI system, allowing you to talk (or yell) at your friends as you bounce around in the dust. Lunch is included in the half day tour. Drivers must 16 years or older and passengers must be 14 years or older. After the glitz and glamor of the Strip. It is time to head out and explore the vastness of the Mojave Desert on a Las Vegas Dune Buggy tour. Join a 2 hour or 3 hour RZR trip where you will have a professional guide to take you along the breathtaking trials. This region is known for its remoteness, red dunes and awe-inspiring scenery. Your trip starts with hotel pickup and a 30 minute drive to Jean in Nevada. Meet like-minded adventure seekers and have a short lesson and safety briefing. Learn the techniques of how to drive, control and steer the Polaris RZR XP1000 UTV. When you are confident, set off and follow your professional guide along the thrilling trails. Bounce over rocky-outcrops, travel along dry river beds, climb dunes and speed down into dusty valleys. You will be equipped with a full-face helmet with a radio, so you can keep in touch with your guide and fellow travellers. Watch your language! The trip lasts for around 2 hours after which you can relax and enjoy some refreshing water and snacks before being transported back to your hotel. Drivers must be 16 years or older and in possession of a valid drivers license, passengers must be 14 years or older. If you are looking for a desert adventure like no other, this Las Vegas Dune Buggy tour tops them all. Experience the thrill of the desert at night under the stars, as you drive a 4x4 buggy across the dunes. This small-group tour accommodates only 7 people, ideal for a family or group of friends. You will picked up in the evening and will travel to a unique 15000 acre area a short way from the Las Vegas Strip. Get geared up with face helmets, goggles and gloves. Follow the guideÕs instructions on safety tips and how to control and navigate your buggy. Your vehicle is a one-seater buggy complete with four-point harness, roll cage and lights. It is easy to drive with a gas pedal, steering wheel and brake, so any one with driving experience will find this to be a blast! When you are all ready, set off on an adrenaline pumping drive, chasing your guide, zooming over rocky hills, down into dusty valleys and along dry river beds. The stars above you make this a night to be remembered. The course covers about 25 miles and you are free to go wild. When you are done, relax and catch your breath as you travel back to Vegas. 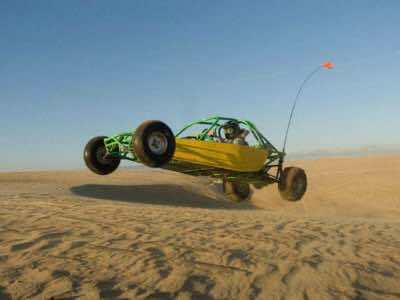 If you are looking for a fun thing to do in Las Vegas, joining a Las Vegas Dune Buggy Ride tour is a great choice. These buggies operate like a regular car with a steering wheel, gas pedal and brake. They are easy to drive once you get the hang of it. On this trip you will ride on the rugged and dusty trails of the Nellis Dunes. The trip starts when you meet your guide and have a short lesson on the techniques needed to control the buggy. You will be given a safety helmet and goggles. The buggies are 2-seaters, so you can enjoy this experience with a friend or family member. Set off and bounce over river beds, navigate around rocky outcrops and have fun kicking up clouds of dust. Your trip stops for a breather at Rattle Snake Cliffs and at the Look Out Dune where you can soak up the lovely sight of the scenic Lake Mead and the Las Vegas Strip. You can optionally go to the Sony Motorstorm course where your guide will take you around to experience a lap. Bring along a disposal camera as a good quality model may take a bashing on this fun and unique drive! The tour picks up and drops off at your hotel. If you are pressed for time but still want to experience the exhilaration of a Las Vegas Dune Buggy adventure this is the option for you. The tour takes around 2 hours from pick up to return, ideal for a morning or afternoon. The venue is the multi terrain Nellis Dunes which are located a mere 14 miles north of the Strip, avoiding long drives to get to your destination. The tour company will collect you and take you to the starting point. You will be given safety gear and a short lesson on the techniques needed to navigate and control your buggy. Choose to drive the brand new Can Am Maverick 1000 CC's, side-by-side UTV's, a 2, 4 or 6 seater buggy. The choice is yours to make to best suit your group. Once you are set up, head off along the dirty and dusty trails and have a blast as you bounce, jump and fly over rocks, up rugged dunes and down into breathtaking valleys. You will have the added thrill of seeing the Nellis Air Force Base Fighter Pilots performing aerobatics over your head. These tours operate in sun or rain, seven days a week.